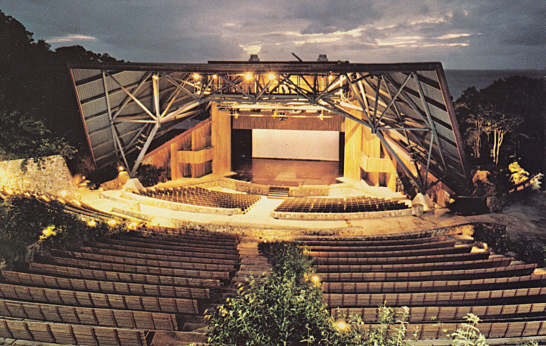 Unversity open-air theatre, built 1976-1977. Named in honour of the donor, the American entrepreneur Henry H. Reichhold. Reverse Text: "Reichhold Center for the Arts. University of the Virgin Islands. St. Thomas U. S. Virgin Islands"